Shailer Park – Botanical Grace started operation with EasyCash in Toowong. The Gift Shop is running with one check out and a back-office configuration. I only used cash registers so far, said Julie the owner. "The new computer based system is really easy to handle." Shailer Park – The Local Brewhouse in Hallam, Vic commenced operation with EasyCash. “EasyCash is exatly what we need” said Jodi manager of the new shop. Shailer Park – Microbreweries enjoy EasyCash. Goanna Brewing in Queensland started EasyCash for their new brewery in Paget. “The program is so user-friendly. It is fun to work with EasyCash” said Linda Palmer manager of the new shop. Shailer Park - Beanz N Bake a great coffee and pie shop in Stones Corner Village is running the EasyCash Touch Screen system. 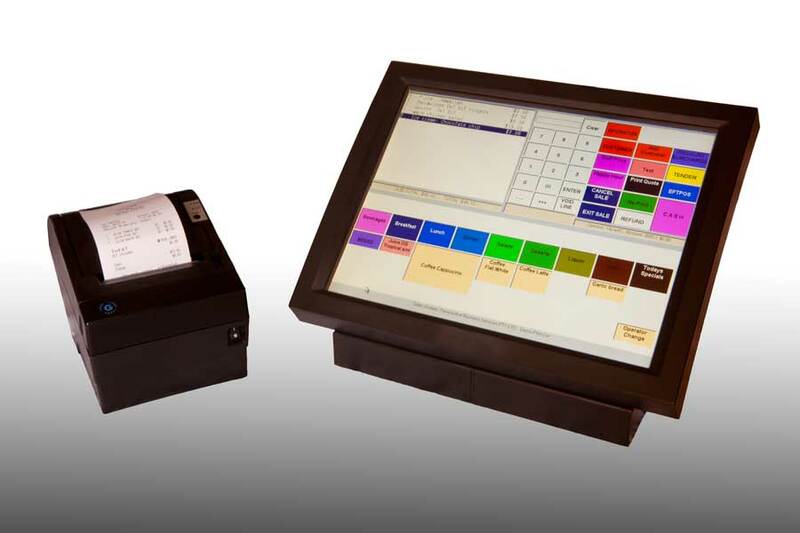 Shailer Park - The Bakery will use the EasyCash Touch Screen system in their new store: Logan Village Family Favourites. “Staff training has already finished.” says Glen, the manager of the stores. Shailer Park - The Angry Sea Company has started EasyCash operation in Mt. Ommaney today. Walter our EasyCash Team member had the chance to try the excellent fish the store has to offer. "We had some wire up problems with the kitchen printer, but with Walter's help that issue was fixed quickly." said Paul the owner of the store. EasyCash is running with the latest user interface supporting touch screens. Shailer Park - The Fiddlers' Elbow a backpackers bar in Brisbane has now exchanged their point of sales system. From today on the bar is using EasyCash. Reliability and ease of use were the main criteria for manager Sander to go for EasyCash. Shailer Park – Roobell's Beauty opened their second salon in Morayfield with Salon EasyCash as business support tool. We had good experience with our salon in Caboolture, so we were happy to go with Salon EasyCash again, says the management. Shailer Park - FMG Hair is another salon that is using Salon EasyCash. The SMS reminder services and marketing tools are so effective. We couldn’t operate without it anymore the owner said. Shailer Park – LeeStyles Hair & Beauty in Redland Bay is using the EasyCash software to support business operations. "We are grateful that another local business is supporting EasyCash”, says Brian Griffin the sales manager for hair and beauty. "Just another little step to help improve economic climate in the local business community”, he added. Shailer Park – Kmj Shoes Australia in Sunnybank started EasyCash operation in July this year. “The customized print out of our invoices is just great. Our customers love it.” says sales manager Anna. Shailer Park – Tanya's Tangles in Mt. Warren Park started the EasyCash software to support business operations in March. The EasyCash sales team claims to be the fastest growing point of sale solution on the market. "The new drag and drop feature in the appointment schedule is just a blast”, says Brian Griffin the sales manager for hair and beauty salons in Australia. 11/01/11 Shailer Park – Affair Boutique is using the EasyCash system on 53 Graffton St in Cairns now. This is our first EasyCash system running in Cairns, but it will not be our last, says sales manager Walter Gith. 21/11/10 Shailer Park – Nat-Sui Shoes is going to open a second outlet in Sydney with EasyCash. The first Nat-Sui flagship store on James Street in Fortitude valley opened in October 2008 with EasyCash. Now the second Sydney store will operate EasyCash as well. 1/11/10 Shailer Park – LATIN CLOTHING on Brisbane's Queen St is now supporting their sales with EasyCash. The fast and easy operation of the sales tool EasyCash made the decision easy for Daniela the shop owner. "I am just using the basic features, that's all I need", said Daniela. 1/9/10 Shailer Park – Webster & Wood salon in Mango Hill, North Lakes Drive in Qld has commenced operation using our salon support tool EasyCash. 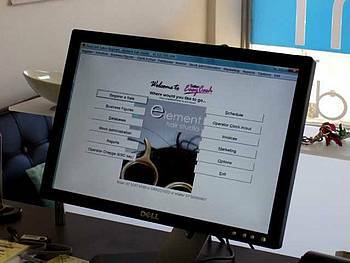 The highly efficient computer based tool supports all aspects of a modern salon operation. 1/8/10 Shailer Park – Webster & Wood salon in Strathpine Qld decided to go with EasyCash. The first new point of sale system was installed just today. 29/6/10 Shailer Park – The two African Braidz salons in Aspley and Fortitude Valley Queensland commenced supporting their sales with the EasyCash System. 29/4/10 Shailer Park – BrewByU Hunter in Cardiff NSW, The Brew Barn in Hoppers Crossing Victoria and Brew-By-U in Tuggerah NSW are all enjoying the special reporting features for breweries. 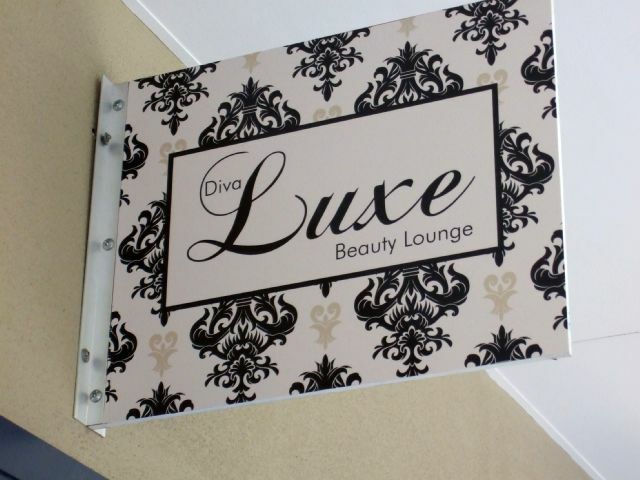 2/2/10 Shailer Park – Luxe Beauty Lounge just today started EasyCash operation in Worongary. 29/1/10 Shailer Park – Heidi's Body and Skin Care opened another salon in Noosa Junction and is running EasyCash again. 25/1/10 Shailer Park – Cloud 9 in Palm Beach commenced EasyCash operation on Monday. 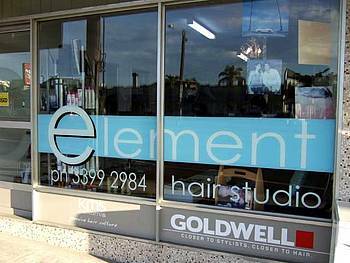 10/1/10 Shailer Park – Wallace Hairdressing in Greenslopes is using now EasyCash. The EasyCash sales team claims to be the fastest growing point of sale solution on the market. "The new SMS services are fuel for our growth", says Brian Griffin the sales manager for salon software. 21/11/09 Shailer Park - K-Nails & Beauty now upgraded their EasyCash system to the new SMS services. K-Nails & Beauty in Keperra was the first beauty salon that used the EasyCash System back in 2003. "The SMS reminder services are so beneficial for us, we save a lot of time now" said Kim the owner of the salon. 10/11/09 Shailer Park – Trio@Kenmore is opening a new exciting fashion shop in Kenmore. “The new EasyCash features like reporting by product size and color are essential for the fashion industry”, said Mark Ballam co-owner of the business. 27/10/09 Shailer Park - With the new EasyCash system the shop gets all the new features, like a new Lay-By system. “In our business we have to handle a lot of Lay-Bys and with the new system it is just a well and easy administration.” said Trevor the shop owner. 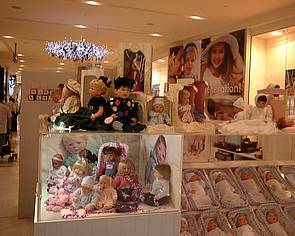 12/10/09 Shailer Park – The New Born Nursery providing Lee Middleton baby dolls to the Australian Market decided to use EasyCash again. The second shop in Westfield North Lakes will be fully supported with the EasyCash POS system. 10/10/09 Shailer Park – Two more salons are using EasyCash. Elspa in Red Hill and Snipets in Urangan commenced using EasyCash business support. Equipped with the latest SMS messaging services and new server backup options the salons are well prepared for a hectic Christmas season. 16/9/09 Shailer Park – The EasyCash Salon sales team is proud to announce, that Simply Me in Cleveland, Roobell's Beauty in Caboolture and Bojay Hair Design in Cleveland have started EasyCash operation. 12/8/09 Shailer Park – Two more salons in Queensland decided for EasyCash. Indulgence Hair Body & Makeup in Bundaberg and Just About U Beauty in Bald Hills joined the happy community of EasyCash users. 12/8/09 Shailer Park - EasyCash offers a new backup service. From now on EasyCash customers with internet access are able to backup their EasyCash system onto an external server. It is a nightmare to loose all your data like customer addresses customer history and appointments. Therefore it is mandatory to make a daily backup. The USB drive is a good solution already. You can take it home and your data will be safe, even if the computer was stolen. Now users don’t need to worry about handling the USB drive anymore, because with one mouse click the data will be backed up on our server every day. A small service fee applies to cover the server space. For more information contact the EasyCash sales team 07 38065867. 17/7/09 Shailer Park - EasyCash is now available for companies which hire costumes. The EasyCash Team and the Costume Company in Annerley joined forces and developed a tailored point of sale system for costume companies. "The costume administration and the integration of booking and hiring into a point of sale system is a breeze now." says The Costume Company owner Steve. If you want to learn more about it call Steve 0418759943. 1/7/09 Shailer Park - The Salon EasyCash sales team is pleased to announce that Christopher M, Skinfit Therapies, Amarra Hair Studio, Narelle's, Beauty on Park, NV Design Studio all signed up for the new Smart Marketing Service "set and forget". If you want to learn more about it click on 'Product News' in the left menu. 30/06/09 K h o o l Hair & Beauty in Sunnybank Hills Shopping Town, Nicole's Simply Beautiful Beauty Clinic in Dalby, Tammy's Nails in Daisy Hill and Amarra Hair Studio in Camp Hill are all using the EasyCash system now. 09/04/09 Chantilly Lace Boutique in Murwillumbah is successfully supporting their sales with EasyCash. As there is a huge demand for Lay-By, the staff enjoys the flexibility of the EasyCash Lay-By system. 03/03/09 The Council Visitors Information Centre in Armidale, NSW is using EasyCash to successfully support their sale to the public. 01/03/09 Another 3 shops decided to go with EasyCash. NV Lifestyles Salons in Surfers Paradise, Instyle Hair Wear in Wynnum and Beauty In Style in Wynnum are using the highly advanced marketing tool EasyCash in order to serve and please their customers even better. The automatic SMS reminder service for their appointments is only one example that the customers love. 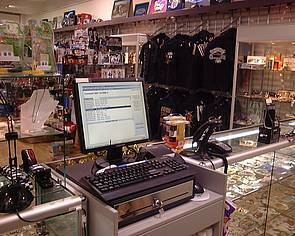 05/01/09 Another gift shop has now started EasyCash operation to support easy sale, stock administration, labelling and sales analysis. 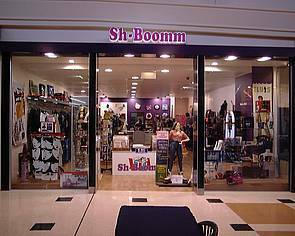 Sh-Boomm is located in the local shopping center in Taigum. "EasyCash offers so many things, like gift voucher support, that support our business. And it is so convenient to have a second computer in the back office for data entry and label printing", said Cindy the shop owner. 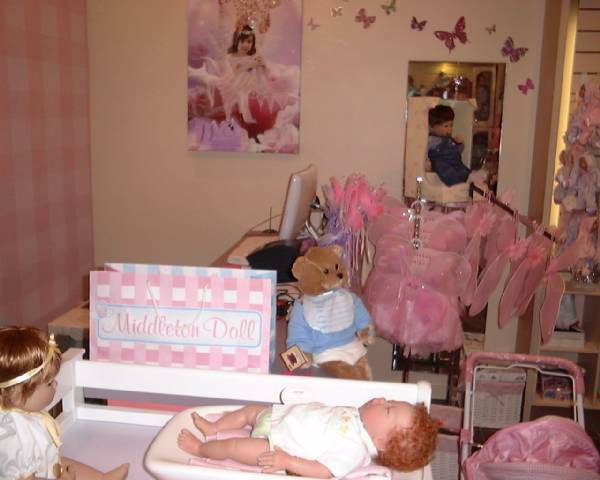 12/11/08 New Born Nursery opened a new shop for Middleton Dolls in the Chermside Westfield Shopping Center. The shop is running the EasyCash POS system for easy and fast sales support. 22/10/08 Violent Green a fashion shop in Elizabeth Arcade in Brisbane has updated their EasyCash system. "The system has proven its stability and performance over 1.5 years now. We are glad to update our system and take it to the next level." said the store owner Kim. 4/08/08 Perspective Business Services the vendor of the POS system EasyCash today announced, that element hair studio in Cannon Hill started working with EasyCash. 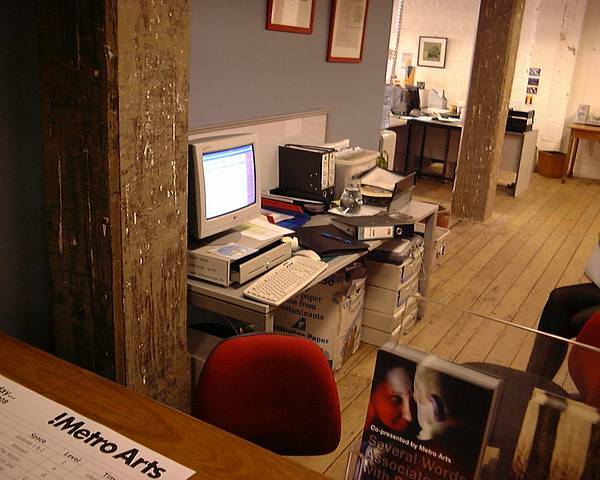 30/7/08 !Metro Arts a theatre equipment supplier has updated their EasyCash system today. We knew EasyCash already but now it is even better, said an enthusiastic team member. 16/5/08 Absolute Essentials in McDowell, Southside in Tamworth, Sirens in Scarborough and Narrogin Beauty in WA are all using EasyCash now. 7/5/08 Swishes the training facility for hair dressers of the Caboolture TAFE is using EasyCash to train the young hair dressing students. It is so good to have a real POS system now, said the management. Students just have to learn how to take advantage out of a computer system. 24/4/08 Just another branch of shops amended the EasyCash profile today. A shop specialised in Christmas lighting in Everton Hill supports their sale now with EasyCash. 27/3/08 Six more Hair & Beauty salons decided for EasyCash. Scratchers Nail & Beauty in Brisbane, Alpha-H New Skin Begins in Arundel, Christopher M Hairdressers in Beaudesert, Morph Hairdressing in Brisbane, Sasi Skin Spa in Warner and Ejiri Hair Studio in Mudgeeraba commenced using EasyCash in the first quarter of 2008. 17/1/08 Road Rage Diecast Models is using EasyCash now. The customer database with the history view is exactly what we need, says the shop manager. 11/1/08 Ukko Shoes in Victoria Point decided to use EasyCash to support their shoes sales. 12/12/07 Three more Salons signed up for EasyCash in December. Georgiou Michele in Manly, Frangipani Designer 4 Hair in Victoria Point and Bishin House Of Beauty on Bribie Island joined the growing community of EasyCash users. We had a very solid growth rate in the Hair & Beauty Industry for EasyCash in 2007 said Brian Griffin head of sales in Australia. 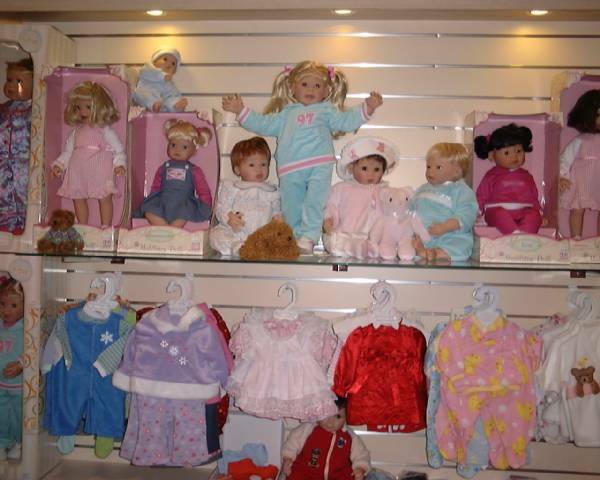 1/11/07 Morph Hairdressing in Ashgrove, Suki-Hair in Sandgate, Fassifern Hair Beauty and Massage in Kalbar and Hair Elements in Palm Beach commenced operation of EasyCash. 2/9/07 Lewis Salon in Mt. Gravatt, Lotus Wellbeing & Beauty in Nundah and Beauty on Park in Milton are all new EasyCash users. The managers are praising the SMS reminder support. It saves us one hour of phone calls a day, said one owner. 22/8/07 Hairdresser PTDM in Nundah and Ego Hair in Milton enjoying EasyCash now. Specially the SMS reminder support for our appointments is great, said the owners. 21/6/07 Lyndly Jewellers in Blackwater committed to EasyCash. 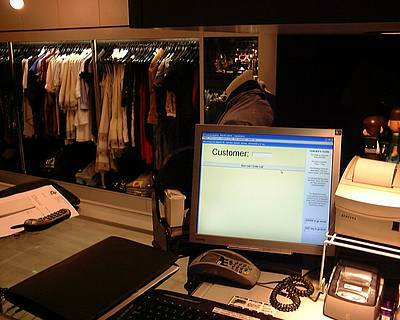 20/6/07 Divinity Beauty in Bulimba and Coco Mousse in Varsity Lakes are running the POS software EasyCash now. Michelles Skin & Body Solutions in Aitkenvale are using EasyCash now. 7/2/07 smith & boyd an exclusive shoe shop in Fortitude Valley commenced using EasyCash today. 4/2/07 The gift shop gifts2remember in Springfield Lakes updated their POS system today with EasyCash. We can recommend EasyCash for any retail business that needs stock administration, stock control and barcode scanning along with customer database and marketing programmes, said the owner Jill Buckingham. 1/2/07 Another two salons committed to EasyCash. Renaissance Hair in Caloundra and Hairy Mango Studio in Mudgeeraba are excited to be a new EasyCash user. 19/1/07 The Cove a Restaurant in Burleigh started EasyCash to support sales. The ease of use is just what we need said the manager. 18/01/07 The hairdressing supplier KIMDEC updates the headquarters shop in Salisbury with EasyCash and announces to equip their shop in Lutwyche and the new shop in Capalaba with EasyCash. We can now recommend EasyCash for all our hairdressing clients. 12/12/06 Salons and EasyCash seem to go very well together. The Australian sales representative of EasyCash Brian Griffin announced today, that 2 more Hair & Beauty salons are going to use the advantages of the EasyCash POS software. Nundah and Mt Gravatt are the new locations where EasyCash will be running. 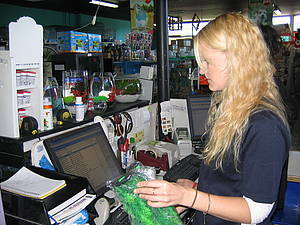 11/12/06 The gifts and crafts shop VIOLENT GREEN in Brisbane is using the popular EasyCash software. 20/9/06 Four more Hair & Beauty Salons in Regents Park, Stafford Hts., Wynnum and Armidale went for EasyCash. 29/7/06 'Inverted Bodyboarding Byron Bay' as well using EasyCash now. 20/6/06 The first book shop jumped into the faster and faster going EasyCash boat. The outstanding POS software spreads like wildfire. 12/5/06 The leading Beauty Salon in Paddington Brisbane is now using EasyCash. 20/4/06 Three more Hair and Beauty Salons went for EasyCash today. 8/2/06 Queensland's Rifle Association decides to make their Q-Store sales even faster now by using EasyCash. We can import our stock data from MYOB into EasyCash, that is fantastic, says Q-Store manager Karen Cole. 27/1/06 The new NV Lifestyle Salon in Southport has got the full EasyCash system support from today on. 17/1/06 Another school uniform shop is using EasyCash. 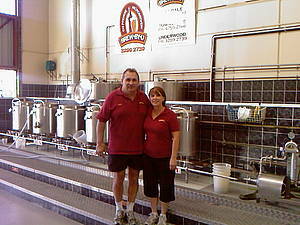 12/1/06 The new microbrewery in Wacol is running EasyCash now. 3/1/06 Two more Hair & Beauty salons in Bulimba and in Rochdale are using EasyCash now. 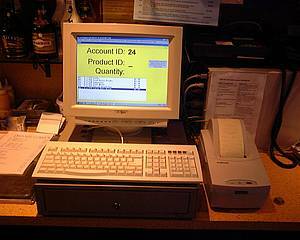 17/11/05 Another Microbrewery is now using the EasyCash system to support their sales. 05/08/05 Another Beauty shop is running EasyCash. 27/07/05 Kee' s City Bags an existing customer of the POS system EasyCash, opened another luggage shop in Brisbane. The decision for EasyCash was easy, because we are successfully running EasyCash in our other shop, said Kee the manager of the new shop. 30/06/05 Two more Hair and Beauty salons, Everton Park Hair and Beauty, and Shine Hair & Beauty Studio in Toowoomba comitted to EasyCash. 01/06/05 The newsagency in Augathella today decided to commence EasyCash operation. 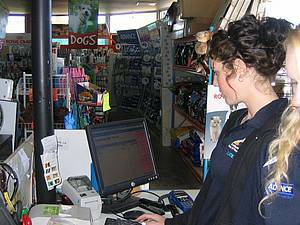 30/05/05 The Pet shop in Victoria Point updated its EasyCash system with a second check out. As we are getting busier and busier we needed another check out, said Christian Foxover the manager of the shop. 14/05/05 Bishin House of Beauty on Bribie Island and Splash into Beauty in Tweed Heads started EasyCash operation this month. 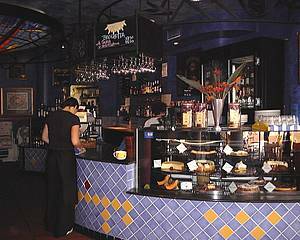 15/03/05 The Mulberry Tree an organic bakery with attached coffee shop is streamlining its operation with EasyCash. Specially the barcode printing feature is of high value to us, said the store manager. 10/02/05 Kabuki Salon in Springwood and Smarty's Hairstylist in Toowoomba joint the growing community of EasyCash users. 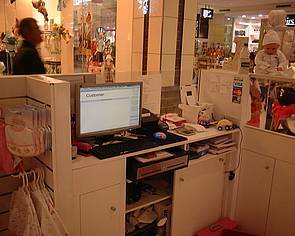 12/12/04 Sirens Hair & Beauty in Scarborough, Deanies Kids Cuts in Currimundi and Albany Hair are now running the well-tried and widely known POS system EasyCash. 16/11/04 A bicycle shop at Mermaid Beach is now using EasyCash. The excellent stock administration features of EasyCash can immediately improve our day to day business, said the owner. 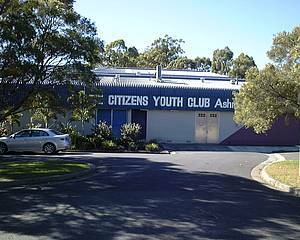 12/11/04 Another PCYC club is supporting their members and the retail shop with EasyCash now. The ‘member check in’ is a breeze now, said the club manager Craig Green. 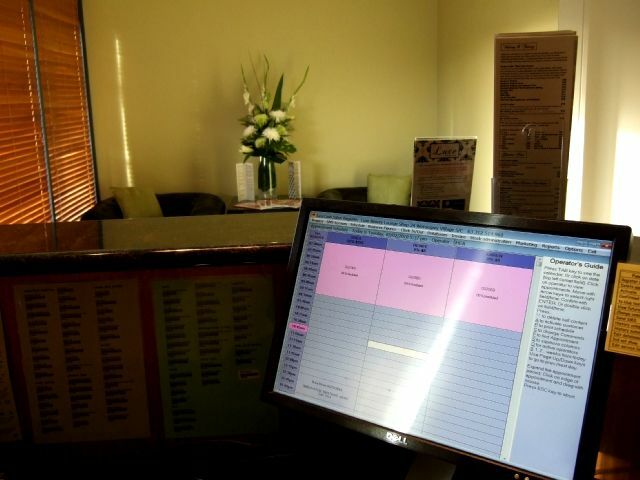 13/10/04 Today ROX hair in Currumbin started using EasyCash in their salon. 10/10/04 Today the police and citizens youth club in Nerang decided to implement the EasyCash POS system. The fast and easy check in of their members was a major requirement for the club. With EasyCash the point of sales operation turned out to be the ‘smooth’ part of the business operators said. 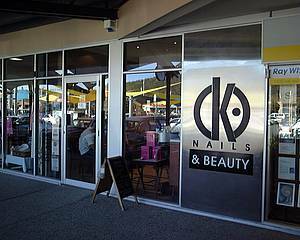 11/09/04 Today K-Nails & Beauty Salon in Keperra announced to commence EasyCash operation. This is the first beauty salon that takes advantage of the great features EasyCash has to offer for salons. 23/08/04 Siren's Spell a hair dresser in Camp Hill started EasyCash operation today. The terrific appointment schedule feature was reason enough to choose EasyCash. 05/05/04 With The Barbers' Hut in Browns Planes another hair dresser joint the fast growing community of EasyCash users. 19/04/04 The shooter store at S.S.A.A. Brisbane discovers fast and easy operation with EasyCash. Not only shoot fast, but get your munition fast too. The store supported now by the fast POS system EasyCash can deliver right in time. 10/03/04 Brew-By-U the Microbrewery in Underwood signed a contract with Perspective Business Services today, to adapt EasyCash for their breweries. The point of sales system EasyCash is going to be the system of choice for every brewery that will franchise the microbrewery concept. The automatically generated Excise report for tax purposes is one of the outstanding features. With EasyCash we found a system, which could solve all our operating problems such as quick sales to students, fast and accurate stock taking, and easy operating our accounting data as required by the ATO. Additionally, being a state institution, we had to look for a cost efficient solution. We were more than pleased with the amount of money we had to invest. 29/12/03 First news agent takes EasyCash on board. 14/06/03 Positive Images a photo shop in Brisbane City on Mary Street starts working with EasyCash. 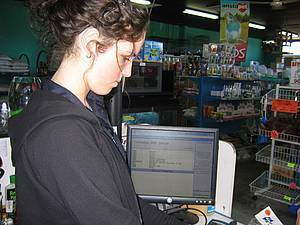 09/06/03 Fix-A-Frame in Mount Gravatt installs EasyCash in their retail business section. 31/3/03 EasyCash today was installed in a Liquor Shop in Blacksoil. Operating with a lot of products (over 3000), we needed a reliable system that had good scanner support and an excellent stock administration system. With EasyCash we can print our own bar code labels and apply them to our products. Recently we had a problem with the system, which put the system off the air. PBS Immediately sent out a technician who checked our system. The fault was diagnosed as a faulty memory module, which was replaced. None of our operators are computer experts; therefore we appreciate the ease of use and the reliability of this system. The support provided by PBS has been excellent. 04/06/02 The first Hair Studio started to run EasyCash in Garden City Shopping Centre. 25/02/02 Today an Art Gallery at the Gold Coast invested in EasyCash. With the modular sales concept of EasyCash, we could pick the right modules for our needs in order to keep the cost low. In our shop, we sometimes have to deal with customers queuing up to purchase their items. Especially at this point of time we have to speed up our operation and here EasyCash totally satisfied our need. 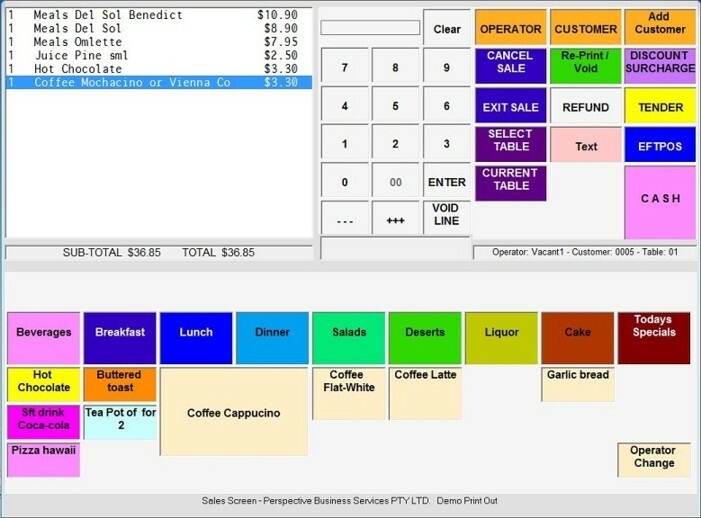 Our staff members could not believe, that a computerised POS system exists, that is easier to operate than a traditional cash register. They especially liked the quick till balance at the end of the day. 12/7/2001 Today the first EasyCash installation was made in Broadbeach, Queensland Australia. It successfully commenced work in a Restaurant called Cafe Del Sol, located at the Gold Coast right in the middle of floating tourist streams.